Highest & Best due by 11:59PM (midnight) on 2/11. Stunning West Buckhead! Intown modern farmhouse transformation in Morris Brandon school district. Experience one of the most UNIQUE VIEWS in Atlanta from a huge light filled SUNROOM. Entertain your guests in an OPEN CONCEPT living space, or from 3 separate decks with long range views of expansive backyard and Peachtree Creek deer habitat. Spacious finished basement with 4th bedroom suite that can easily convert to office, playroom, fitness, or FLEX. Master on main with sweeping view from en suite. SchoolsClick map icons below to view information for schools near 2587 Ridgewood Terrace NW Atlanta, GA 30318. Home for sale at 2587 Ridgewood Terrace Nw Atlanta, GA 30318. 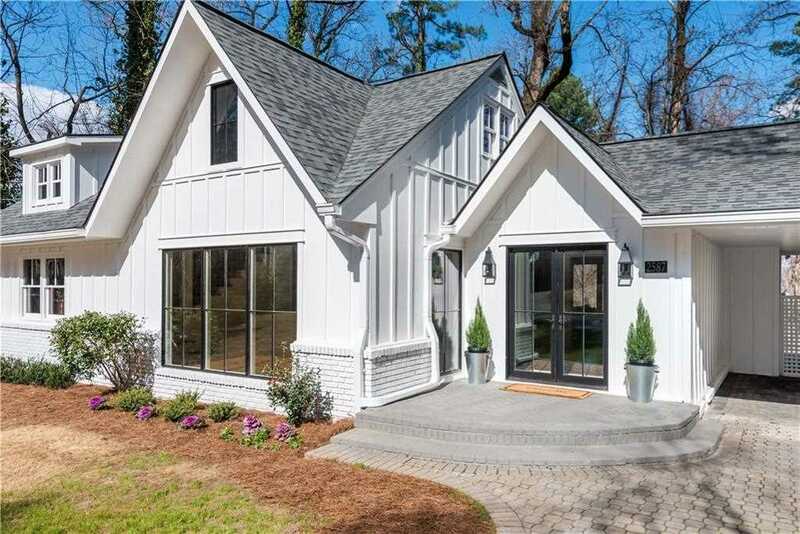 Description: The property at 2587 Ridgewood Terrace Nw Atlanta, GA 30318 with the MLS Number 6503262 is currently listed at $815,500 and has been on the Atlanta market for 69 days. You are viewing the FMLS property details of the home for sale at 2587 Ridgewood Terrace Nw Atlanta, GA 30318, which is located in the Buckhead subdivision, includes 4 bedrooms, 4 bathrooms, and has approximately 2677 sq.ft. of living area.